Well, one of the biggest racing franchises has (finally) arrived on the PlayStation VR to a tumult of controversy and backlash. The Gran Turismo franchise has been lauded as being one of the greatest sim racing franchises in the history of gaming and given the immersion offered by VR, this would be seem to be the perfect vehicle (see what I did there!?) to get more PSVR headsets into more households. 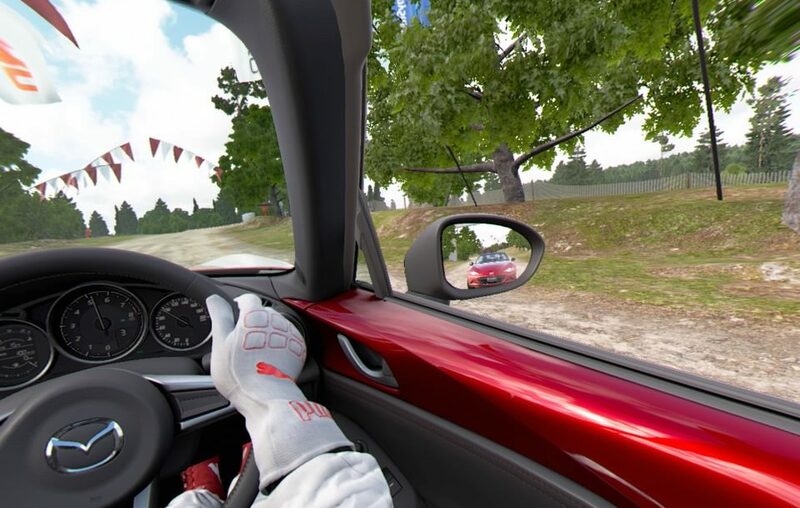 Sadly, more than a few poor decisions on the part of the dev has stripped much of what makes racers fun and what’s left behind for us VR users is a ramshackle racing experience that leaves a lot to be desired. I’m going to do this a little out of my usual order as the standout issues need to mentioned before anything else. The VR content available at launch is 38 tracks, and the only mode available is a 1 v 1 race against a computer controlled opponent. I think 38 tracks is a decent number but only having the one mode is a huge misstep, especially considering that this iteration of GT seems more focused on multiplayer than ever before. Just including a Time Trial mode would add greatly to the content value. On top of that is that, the difficulty of the AI in VR is not adjustable meaning that as long you drive moderately OK, you’ll come in 1st every time. I am admittedly not good at driving sims, yet after only 2 races in GT Sport, I no longer took the AI as a serious threat to my game as I left it in the dust within a minute or 2 of the race starting. Lastly, is the issue of having 33 of the tracks locked until you reach a certain experience level. Not a big deal except that you can only accrue experience playing the same courses not in VR. It’s baffling why this designed this way, and more than any other issue, this needs to be remedied. Those who play in VR don’t want to have to play flat versions of courses to unlock their VR counterparts. Controls are awesome, especially with a wheel. Everything is what you would expect from a GT game and it plays next to flawlessly. Traction changes with road conditions, to fast in a turn and your in for a rough ride. It’s a standard driving affair and for those looking for great controls will be happy. Switching from the wheel to a DS4 controller I did find the sensitivity on turns to be higher, but that I’m attributing more to differences in inputs than an over-sensitivity on the games part. On the visual side, I think overall this shines. None of the menu’s are in VR so it was a little off-putting to turn VR mode on and see nothing change, but once you get to a race everything opens up. I found this to be better looking than Driveclub VR, with interiors of the cars looking great and carrying a lot of detail. The tracks themselves looked more crisp and detailed with way less aliasing and sharper looking backgrounds. With that said, the roads and nearby visuals looked “muddy” and not in a real mud looking kind of way. That’s not to say they look awful, and the headset resolution is definitely a factor, but some roads looked very washed out and nearby trees and crowds often looked more like blobs until you got really close to them. Conversely, there are some great lighting effects, (especially during the dawn and dusk races) and the cars, of course, look phenomenal. Objects in mirror may be closer than they appear…but not by to much! There is a great sense of depth as you look in your rear view mirror or just left or right and see not only the car your up against, but the racer inside, turning his wheel with the movements of the car, mountains in the background look like mountains and it really felt like I was in the middle of a high speed race. It’s worth noting that most of you HUD is gone in VR mode and while some of the basic info is floating near the console, you lose your map and traction indicator and while I was initially put off by this, not having those does add a little to the challenge and immersion…especially with a force feedback wheel. Also missing in VR is any other view besides behind the wheel. 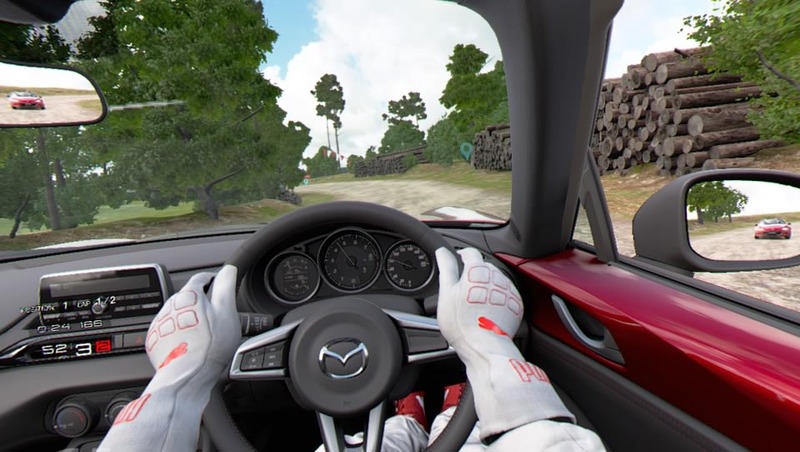 I actually had zero problem with this as being behind the wheel in VR is the only way to play in my opinion, but for those who care, that option is also gone. If your ear holes need some love too than this is basically a flawless sounding driving game. Everything sounds next to perfect as your wheels slide across asphalt or in mud and grass(not recommended). Engine revs sound powerful and even hearing the other car riding up on your side is a cool, very immersive feeling (not that happens a whole lot). 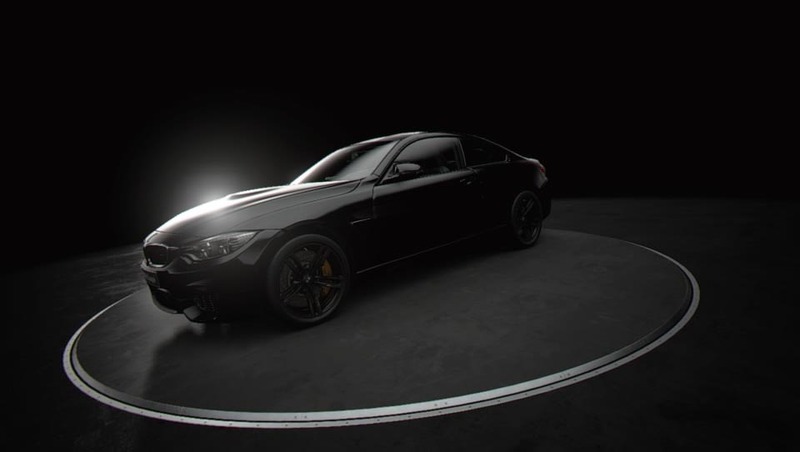 It’s Gran Turismo and Polyphony Digital knows how to make a racing sim. I did pretty much hate every music track I heard in the game, and while that is obviously personal opinion, I just found the smooth, alt-rock and light techno beats too be grating. The only other VR mode available is the the showroom, where you can walk around unlocked vehicles in glorious virtual reality. The only turning option is click turning (unless that option is buried somewhere) and while the cars look great, I’m not playing GT so I can look at cars in an all black showroom. Also, because you can only unlock cars in non-VR mode, if you are interested in seeing some of the more elite vehicles than prepare to game it on your TV or in cinematic mode. This could have been great and I suppose in a few ways it still is, though ultimately, VR users will definitely feel wanting. An additional single player mode or 2 would have helped, not being able to unlock courses after racing in VR is a gross oversight, an AI difficulty option is needed and online versus (even just 1 v 1) could have even saved the day. Suffice to say, none of those options are available meaning us VR users are left in the dust with a bare bone racing experience offering next to no challenge, and 1 racing option that forces non-VR play just to unlock. What would I pay? $10 tops if your only interested in VR. My first half hour or so playing was fun, but once I figured out that the AI drives slower than my grandma and I was forced to play non-VR to unlock more courses, this became a chore very fast. No challenge = no fun. Your review +10, my score for GT Sport (VR content) is a flat 1/10. I was hoping this Game only for PSVR (because, had playing GT5 and 6, its driving physics didnt convice me… But, lets Face It, on PS4 GT always Will be the top achivement in graphics department…), Just to see what is possible for VR in this generation. I do not recomend to buy this Game. It would be nice if PD just add a time Trial option. I am very angry and sad with PD because its very false adverticement about VR as a all. Greetings.